During the summer months, many of us have the pleasure of enjoying some time off. Whether it’s relaxing at home, a cottage retreat or a summer getaway, it’s an opportunity that many of us enjoy - but not all can afford. 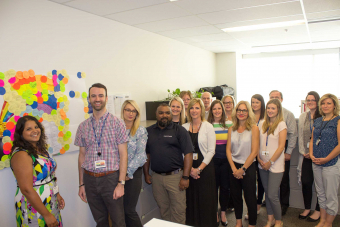 While preparing for summer vacations, our Quality, Patient Safety and Risk Department along with Patient Relations, came up with the idea to support Start Me Up Niagara’s Poverty Doesn’t Take a Vacation campaign. The goal of the two-week campaign is to collect much-needed items such as toothpaste, denture adhesive, sunscreen, socks and bedding for Niagara’s vulnerable residents. Start Me Up Niagara is a local non-profit organization that works with individuals facing significant life challenges such as addiction, mental illness, poverty, homelessness and unemployment. The department was participating in our Workplace Acts of Kindness Challenge when Nina Jain-Sheehan, Quality & Patient Safety Specialist, stumbled upon the idea. "I came across the campaign online and it hit me personally because we are all getting ready for summer vacations,” Nina said. The team was looking for a community challenge with a connection to healthcare and they felt this was a perfect fit. "With my background in public health, I know the importance of oral hygiene and oral hygiene products were some of the most-needed items," said Nina. The team purchased 125 items including toothpaste, toothbrushes, denture adhesive, sunscreen, socks, deodorant, razors and shaving cream. “When everyone gives a little, as a team, we can contribute a lot," Nina said. "It feels good to provide other people with these necessities that some of us may take for granted." 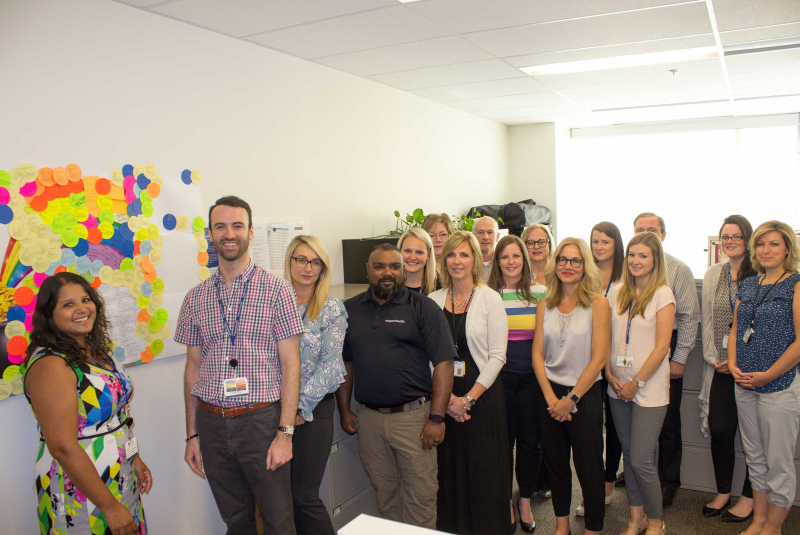 Quality & Patient Safety Specialists Brian Harvey and Courtney Lilek designed the department’s colourful theme for the challenge, a pot of gold and rainbow, which is displayed on a whiteboard within the department where they display their kind acts. Brian had the original idea of participating in the Workplace Acts of Kindness Challenge. The team has performed other acts of kindness including walking with visitors to help them find their way, buying lunch for a senior, holding the door open for someone, buying coffee for a customer in line behind them, helping their colleagues with daily tasks and purchasing groceries for someone who just moved to Canada. They are also tracking smiles – as a smile can make a big difference in someone’s day. The team has reached 400 acts of kindness with a goal to complete 1,000 by the end of summer. So far, 17 departments across our sites have participated in the challenge totalling more than 13,000 acts of kindness.